An exciting treat for all Animax viewers! Get your K-On! Fever on as we let you in on a chance to win an exciting and awesome Animax goody bag! All you need to do is simply enjoy watching K-On! episodes and answer the trivia questions for the week. 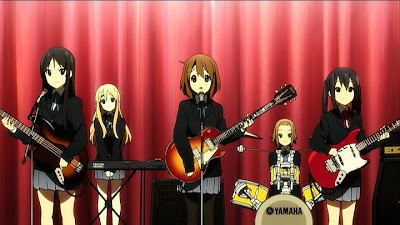 Last week on K-On!, we saw how our four girls were able to finally bring the pop music club back up and how Yui puts up with the challenge of becoming a good guitar player for the band. Email your answers to animaxph.promo@gmail.com with the subject: Animax K-On! Fever. Don’t forget to include your name and contact details in the email. We will raffle out all entries and the lucky person will get a LIMITED ANIMAX MERCHANDISE to be announced by mid-August 2011. Look out for next week’s trivia question and stay tuned as we find out how the girls practice and perform for their school’s festival and the freshman assembly as Animax brings you more episodes of K-On!, Mondays to Fridays at 7:00pm.